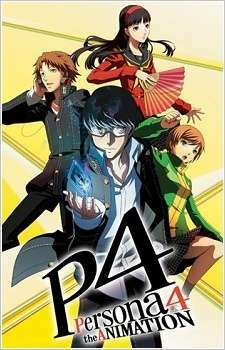 Yuu Narukami moves to Inaba, a seemingly quiet and ordinary town, where he quickly befriends the clumsy transfer student Yousuke Hanamura, the energetic Chie Satonaka, and the beautiful heiress Yukiko Amagi. Shortly after Yuu's arrival, a chain of mysterious killings begin to occur on foggy days. At the same time, rumors about a strange television channel—dubbed the "Midnight Channel"—spread like wildfire; when staring into their TV screen at midnight, a person may see their soul mate. After witnessing the most recent murder victim on the Midnight Channel, Yuu attempts to watch it again, only to realize that he can traverse into the TV and reach another world overrun with "Shadows," evil creatures of the dark. Realizing the link behind the hidden dimension and the murders, Yuu and his friends attempt to crack the cases by exploring the diabolical world of the Midnight Channel using their "Personas," awakened manifestations of their "true selves."